The weather which forced a number of junior call-offs on Saturday had no effect on Rossvale who moved two points clear at the top of the Central First Division table with a 2-1 win at St Anthony’s. But the Bishopbriggs side had to do it the hard way, coming from behind after Ants had taken the lead midway through the second half. Jason McKay levelled matters 14 minutes from time before Craig McGregor snatched a dramatic victory for Martin Lachlan’s side in the last minute. The win put ‘Vale clear of Renfrew who had been level on points with them but were held 0-0 by a Lesmahagow side playing their first match since the departure of manager Robert Irving. It wasn’t a good day for Dunipace who were hammered 6-1 at home by Wishaw and remain second bottom, but Carluke Rovers hit form with a fine 5-3 win at Larkhall with goals from Haddow, Watt (2) and Smillie (2). Thorniewood United’s game at Maryhill was called off. Lanark United also stretched their advantage at the top of the Central Second Division with a 5-3 home win over Port Glasgow in their top of the table clash. Lanark are now five points clear of Cambuslang Rangers who moved into second with Port Glasgow a further two points back in third. Forth Wanderers’ game at home to Newmains United was called off. In the Super League leaders Kirkintilloch Rob Roy were also washed out by the rain which postponed their game at Arthurlie. But they were consoled by the fact that their two closest challengers, Beith and Hurlford, both lost. Pollok, who beat Beith 42 at Newlandsfield with a hat-trick from John Sweeney and a David Winters goal, moved into second, two points behind Rob Roy with two games more played. 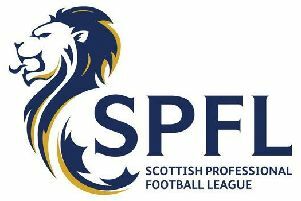 In the Super League First Division Bellshill Athletic moved off the bottom of the table when a fine performance away to leaders Largs Thistle earned them a 0-0 draw. Kilsyth Rangers and Cumbernauld United both had a day off as their games - away to Blantyre Victoria and at home to Kilwinning Rangers respectively - were postponed due to waterlogged pitches. In the East Region Super League Camelon produced one of the performances of the day with a fine 3-1 victory at Bo’ness United. Jamie Glasgow, Gary Wright and Jordan Devlin got the goals with Marty Wright replying from the home side. And there was also defeat for Linlithgow Rose who went down 2-1 at manager Davie McGlynn’s old side Musselburgh Athletic. Goals by Gary Hamilton and Sean Jamieson put the home side 2-0 up and a late goal from Colin Strickland for Rose wasn’t enough. In the East Premier League Falkirk Juniors were 2-1 winners away to Kennoway Star Hearts. Goals by James McAteer and Allan Scott gave Falkirk a 2-0 half-time lead with Hearts pulling one back after the break.